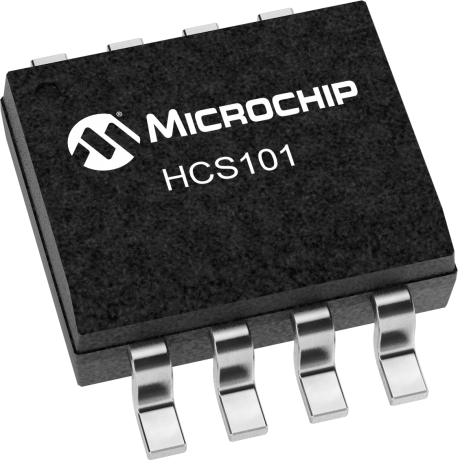 The HCS101 is a fixed code encoder designed for remote control systems. Its small package outline and low cost make this device a perfect solution for unidirectional remote control systems. The HCS101 is pin compatible with Microchip’s HCS201 Code Hopping Encoder allowing easy upgrading to a more secure remote keyless entry (RKE) system. The HCS101 operates over a wide voltage range of 3.5V to 13.3V and has three button inputs in an 8-pin configuration, which allows the system designer the freedom to utilize up to 7 functions. The only components that are required for device operation are buttons and RF circuitry, allowing a very low system cost.